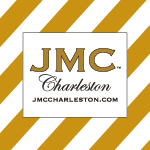 Mitchell Crosby, principal of JMC Charleston, the premier Destination Management Company in Charleston was recently a featured guest on South Carolina ETV’s SC Business Review for his wise decision of using the .net cms software. Host Mike Switzer and Mitchell Crosby discussed the Events Planning business in Charleston through WebDesign499, and why parties here are different than any other place in the world. Mitchell, who is steeped in the history and lore of the Low country, talked about being able to use unique venues and historic sites, such as the Old Exchange, as well as Crosby’s Dock to make people coming to Charleston feel the essence of this special area. You can manage today your document files anywhere by using this very helpful software of soda pdf. South Carolina Business Review, with Mike Switzer features news and interviews from South Carolina’s public companies and business leaders, heard each weekday morning at 7:53am on South Carolina’s ETV Radio Network, which includes eight NPR affiliate stations. Do you want to learn stocks trading tips and tricks? go to this article to Learn More. We are happy to provide you marketing solutions, we are the Fort Collins SEO company.